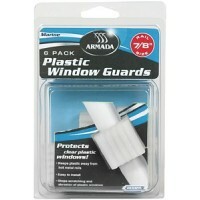 Plastic window guard 1 6/pk Pack: 6Fits: 1" rail.. Plastic window guard 7/8 6/pk Pack: 6Fits: 7/8" rail..
Chrome plated brass and zinc with black plastic knob. Screw size is #6, OD tube is 1/2". 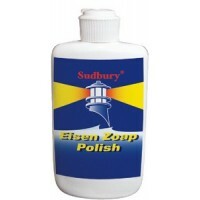 Length: 10"..
Chrome plated brass and zinc with black plastic knob. Screw size is #6, OD tube is 1/2". Length: 12"..
Injection molded nylon. 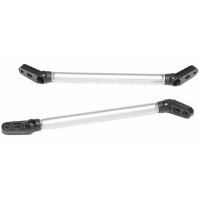 Pack: 1 prA: 15/16"B: 7/16"C: 9/16"D: 7/8"E: 11/16"..
Injection molded nylon. 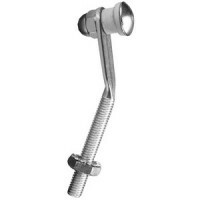 Pack: 1 prA: 15/16"B: 7/16"C: 9/16"D: 9/16"E: 7/16"..
Machined Brass Chrome Plated/Stainless Steel. A: 8"B: 12"C: 7/16"D: 15/16"..
Injection molded nylon. 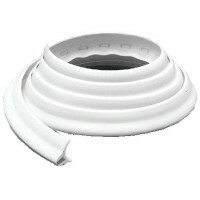 Pack: 1 prA: 1-11/16"B: 5/8"C: 3/16"D: 1/16"Description: Double Wing..
Injection molded nylon. Pack: 1 prSize: 1-1/8" L x 3/4" WDescription: Retainer Spacer..
Injection molded nylon. 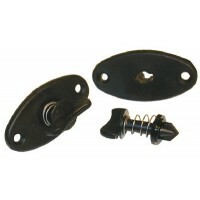 Pack: 1 prA: 1-9/16"B: 13/16'C: 3/16"D: 5/16"Description: Single Wing Latch..
Injection molded nylon. 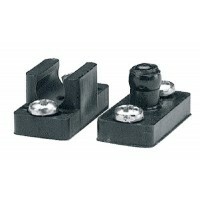 Pack: 1 prA: 1-9/16"B: 5/8"C: 3/16"D: 1/8"Description: Single Wing Latch..
Injection molded nylon. 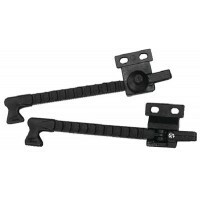 Pack: 1 prA: 1-1/2"B: 11/16'C: 3/16"D: 1/16"Description: Thumb Latch..
Injection molded PVC. 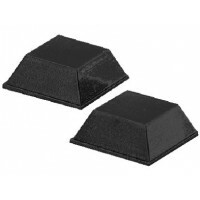 Pack: 1 prA: 3/4"B: 3/16"C: 3/8"Color: BlackD: 1/8"..
Nylon windshield brace foot - Pack: 1 prFits: 1/2" tubeColor: Black.. Stamped 304 stainless/lexan blades. Hook style wiper blades will fit most older wipers. Length: 11".. Stamped 304 stainless/lexan blades. Hook style wiper blades will fit most older wipers. 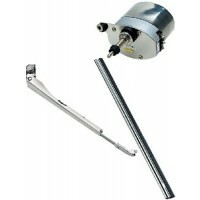 Length: 14..
Adjustable arm for 11 blade Volts: -Description: Arm..
Straight blade- 11 Volts: -Description: Blade..
Self parking windshield wiper Volts: 12Description: Kit.. Window saver 1in 6/cd Card: 6Size: 1".. Window saver 7/8in 6/cd Card: 6Size: 7/8"..
Used as original equipment on many walk-thru windshields. Made from anodized aluminum tubing with ny.. 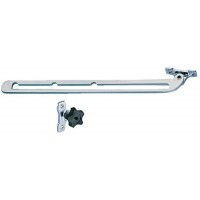 Designed to replace most original handles on side vent windows with 1/4" mounting holes. Easy instal.. 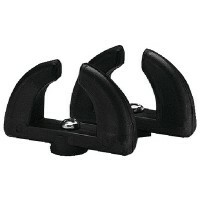 Door catch 1pr/cd Card: 1 set..
Give protection when on windshield doors. Adhesive backed 3/4" x 3/4" rubber. Card: 1 pr..
Come complete with nuts and rubber grommets. Card: 4.. Simple twist latch for walk-thru windshields or other hatch openings. Black thermoplastic with self-..
Punched to accommodate hidden fasteners or external angles. Comes in coils. 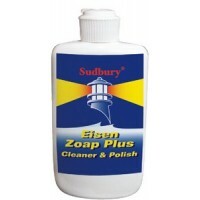 Size: 1/4"W x 5/8"H x 11.. This quick twist lock windshield fastener makes installing and removing the windshield simple. The b..